Tent: check. Backpack: check. Wondering what else to pack? Our backpacking list features our favorite, trail-tested gear for multi-day hiking adventures near Asheville and beyond. Access to fantastic hiking, running and backpacking trails is one of the things we love most about living in the South. From the wild and wonderful barrier islands on the Atlantic like Cumberland Island in Georgia, to lofty mountain hikes on the Appalachian Trail in North Carolina, there’s nothing we love more than hiking and backpacking in the South. And while we’re big fans of a quick day hike, there’s just something amazing about spending the night (or a week) under the stars. Settled on a mountain summit campsite, time seems to slow down… and catching a sunrise from a hammock, with a hot cup of coffee in hand, does wonders for putting life back into perspective. We’ve tested a ton of great gear on our adventures, but we’ve included only our favorite, trail-tested gear in our backpacking gear list: gear that’s useful, lightweight, durable, and thoughtfully crafted. Unlike our favorites on our camping gear list, size and weight do matter when we’re carrying everything on our backs. This is the gear that we keep packed and ready for an adventure, and the gear that has traveled hundreds of miles on our journeys around the South. We’ve hiked with an older-model Osprey Aether 70 for the past ten years, and love its roomy storage capacity, comfort and durability. We upgraded to the recently-updated Osprey Aether 60 backpack. 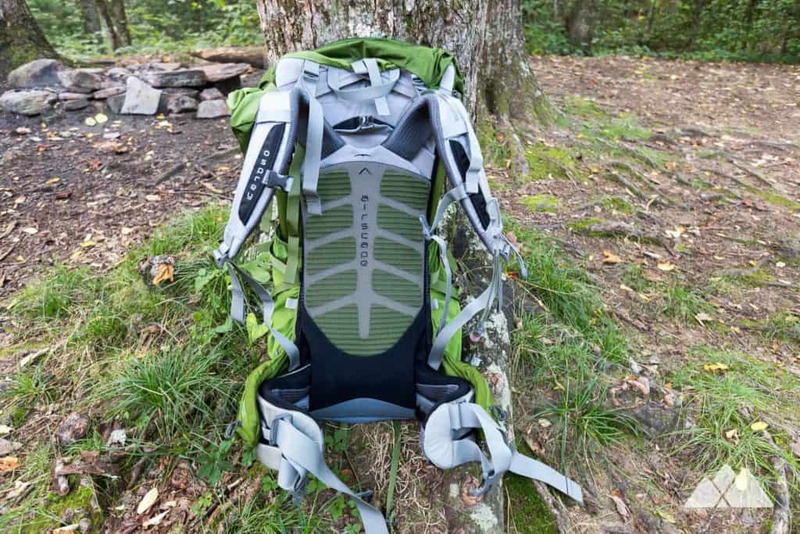 We love the newer pack’s padding, suspension and easy-access storage. We also pack an Osprey UltraLight Raincover to keep our packs and gear dry in case of rain. Getting turned around on a trail is easier than it seems, especially after fatigue sets in on a high-mileage day. We track our backpacking journeys with the Garmin Oregon 700 GPS. Even when there’s no mobile phone coverage, the GPS gives us to access detailed topographic maps, the Oregon 700’s batteries outlast our smartphones by many hours, and it’s easy to swap the batteries (AA) on the trail. Marking waypoints of trail intersections, campsites, and points of interest is easy with the Garmin 700, and its Tracback feature traces our route in reverse, making it easy to hike back to the trailhead. The Sierra Designs Divine Light 2 FL has been our lightweight backpacking go-to tent this season. 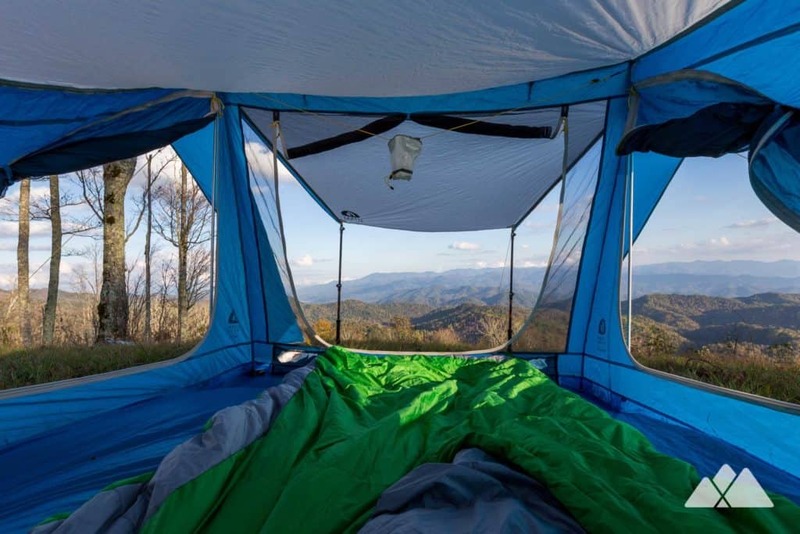 We love the roomy feel of the tent; unlike other backpacking tents that can feel claustrophobic, the Divine Light has plenty of headroom. Three doors make for easy entry and exit. The large vestibule is perfect for storing boots, packs, and gear, and also doubles as an awning. The Devine Light provides excellent ventilation with mesh panels on all four sides, and is trekking pole compatible, helping to save weight on ultralight adventures. We absolutely love the ultra-comfort of the Big Agnes Wiley SL 30 Sleeping Bag and Insulated Air Core Ultra Sleeping Pad combination. The Wiley SL features an attached sleeping pad sleeve that fits the Air Core Ultra perfectly, keeping us comfortably centered on the pad through the night, even when we’re tossing and turning. The combo is rated for temperatures around 30 degrees, which is dead-on perfect for most of the South’s moderate seasons. We almost always sleep in a Sea to Summit Thermolite Sleeping Bag Liner. It’s machine washable, adds a bit of insulation, and helps keep sweat and grime from building up inside of our sleeping bags. And it’s great for use without a heavy bag on warm-weather nights, too. There’s simply no better way to relax at a campsite than in an ENO. 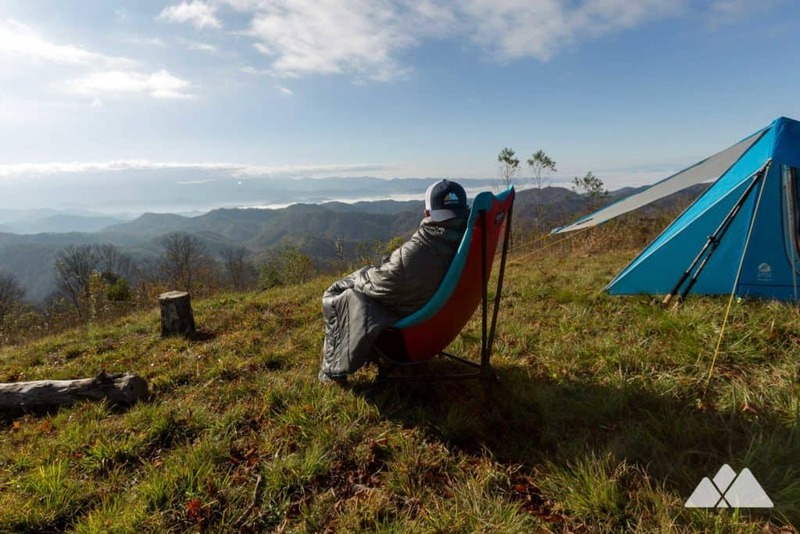 We love, love, love our ENO hammocks: they’re ultra-comfortable, light weight, quick to set up, and and are my favorite way to catch a nap, relax or read on the trail. And setup is fast and easy with the ENO Atlas Suspension System: find two healthy trees, wrap the Atlas straps, and clip in the SingleNest. And for ultra-lightweight backpacking trips, where every ounce counts, we pack our ENO Sub7 hammock, a great alternative to our larger ENO SingleNests. Weighing only 6.5 oz and folding into a 4″ stuff sack, the Sub7 stashes easily in a side pocket in our backpack. It’s not quite as roomy as our SingleNests, but a great pack addition for adventures when weight really matters, and we’re tight on space. 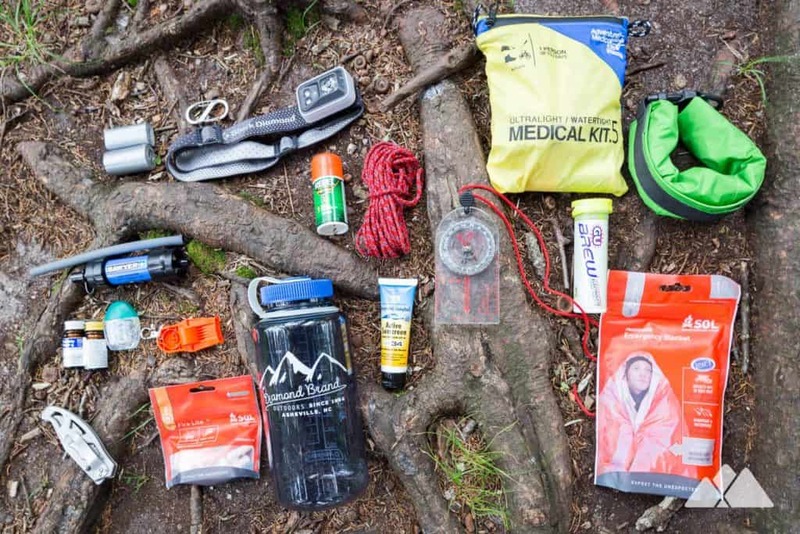 We always pack these health, safety and organization essentials to keep our backpacks organized, and help keep us safe, fueled, and hydrated on the trail. The Adventure Medical Ultralight Watertight First Aid Kit is watertight, lightweight and small, and contains first aid essentials for emergencies on the trail. We add some extra allergy medication, pain relievers, and gauze, and also pack compact bottles of Sawyer sunscreen and Sawyer insect repellant. Lip balm and sunglasses, like our favorites from Sunski and Rheos, are always in our backpacks. We also always carry a reflective emergency blanket and the Adventure Medical Fire Lite Kit for emergencies. After several black bear encounters at campsites, when we’re hiking where bears might be a concern, we usually carry a can of bear spray for safety (and have thankfully never needed it). Due to increased black bear activity in popular southern wilderness areas, including Georgia’s Blood Mountain Wilderness and the incredibly beautiful Shining Rock Wilderness in North Carolina, bear-resistant canisters are required in some areas. We pack the BearVault BV450 Solo Food Canister to store our food, scented gear like sunscreen, and our dog’s food at the campsite. A length of high-strength paracord can be useful for just about anything. And we always pack a folding serrated knife, a safety whistle, and a mini roll of duct tape for emergency repairs. Carabiner clips are incredibly useful for hanging wet gear or clothing from the exterior of our backpacks, so we always keep a few clipped to our backpacks. And we love headlamps: they keep our hands free to read, cook, or do whatever we need to when it’s dark, and they’re great for navigating a trail after twilight. Our Black Diamond Spot headlamps are small, lightweight, and double duty as in-tent lanterns. To keep our cameras and water-sensitive electronics dry, we pack a few Sea to Summit Lightweight Dry Bags: their light weight and small packable size take up negligible room in our packs. To keep our gear organized, we pack our smaller gear in Sea to Summit Ultra-Mesh Stuff Sacks: they’re ultra-light, and made from see-through mesh that makes finding small gear easy. And for day hikes away from base camp, the Sea to Summit Ultra-Sil Day Pack unfolds from a tiny, lightweight stuff sack to a 20 liter, ultralight backpack. There’s nothing better than hot coffee at the campsite on a cool morning. And Kuju Coffee delivers the best cup of backpacking joe we’ve had the pleasure of sipping. 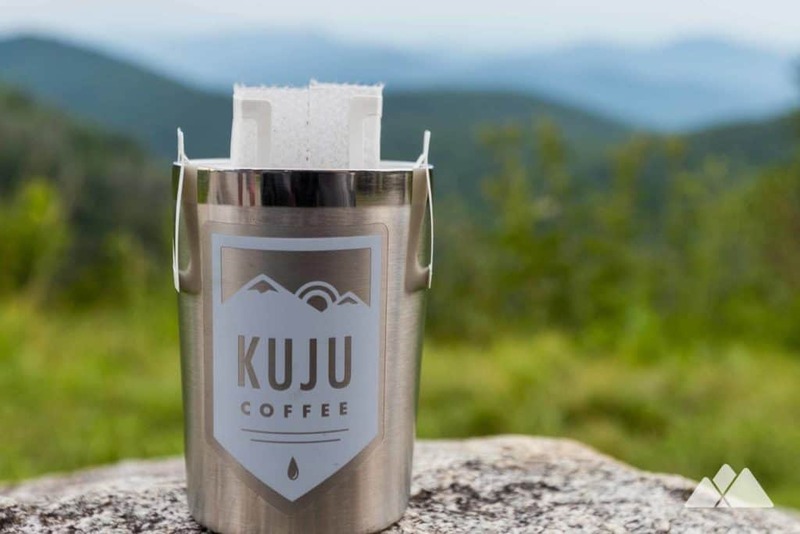 Kuju’s Pocket Pourover system is super lightweight and is available in three delicious roasts that carry the flavor and balance of a high-end coffee shop. Add a misty mountain view, and we’ve got the makings of the perfect sunrise. We pack the GSI Outdoors Halulite Microdualist Cookset on all our backpacking adventures. The lightweight, space saving cookset nests together everything needed for a two person backpacking trip, including a 1.4 liter cook pot, two insulated mugs, two bowls, two eating utensils, and camp sink. The set even has space to carry the GSI Pinnacle 4 Season Stove and a mini fuel canister. And for quick clean up we pack biodegradable Campsuds soap, which is great for cleanup (be sure to follow directions, and use sparingly away from water sources). Our favorite (and ultra-delicious!) backpacking food brand is Good To-Go. It’s far from the usual dehydrated backpacking food: Good To-Go is crafted by an Iron Chef, with amazing flavor combinations. Our favorites include the Thai Curry, Mexican Quinoa Bowl, and hearty Oatmeal. To stay hydrated, we pack GU Hydration Tablets: they fizz and dissolve to create an electrolyte-fortified drink, and they taste pretty amazing. And we pack a trusty Nalgene Wide-Mouth water bottle: they’re nearly indestructible, or a hydration pack, like the Osprey Hydraulics LT 1.5L. For backcountry water treatment, we filter water with a Sawyer Mini Filter. And as a backup, we pack Potable Aqua Iodine Tablets. Jake is an inquisitive black lab pup who loves the trail. He’s our favorite hiking buddy, and we always pack trail-friendly dog gear to keep him safe, fueled and hydrated on the trail. Ruffwear specializes in rugged, durable, functional outdoor dog gear that’s also beautifully designed. The Ruffwear Slackline Leash is an adjustable-length leash that prevents tangles with a swivel clip, and can be waist-worn when we need to keep our hands free. And we love the easy clip-in and clip-on design of Ruffwear’s Top Rope Collar. To keep Jake hydrated on-trail, we pack the collapsable Ruffwear Bivy Bowl, and in cooler months, Jake wears his Ruffwear Singletrak Hydration Dog Pack. The Singletrak is a low-profile, durable dog backpack that makes on-trail hydration easy and convenient. And to keep Jake cool on warm weather adventures, we pack the Ruffwear Swamp Cooler, a dog cooling vest that reflects the sun and acts like a water-filled sponge, keeping Jake cool on warm summertime adventures in the South. 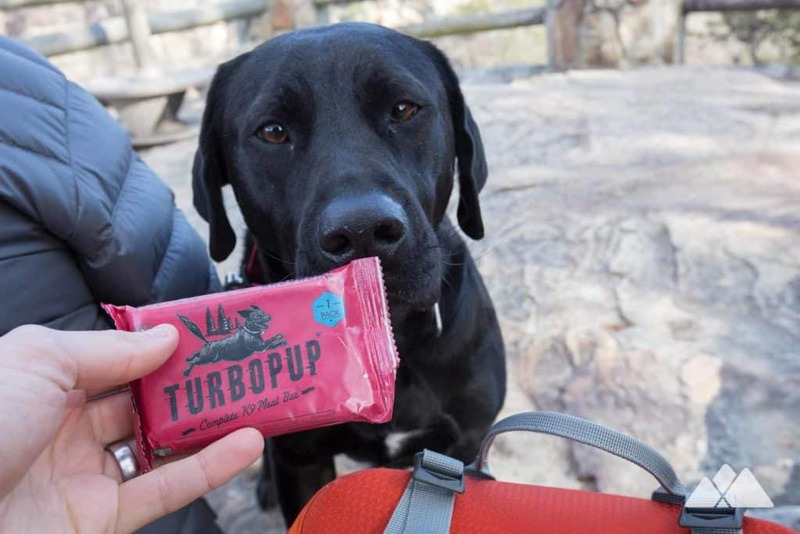 And to keep Jake fueled up on the trail, we almost always pack TurboPUP bars. They’re a trail bar for dogs: grain-free, American made & sourced from human-quality ingredients, they’re also packaged for easy meals on the trail. Check out our hiking gear list for our favorite day hike gear. Our camping gear list features our favorite car camping gear for basecamp adventures when weight doesn’t matter, and it’s all about some superior campsite comfort. Please remember to backpack, camp, and hike responsibly by following these simple tips to Leave No Trace. Remember to pack out everything you pack, in and practice good trail etiquette so everyone has a great time on the trail.